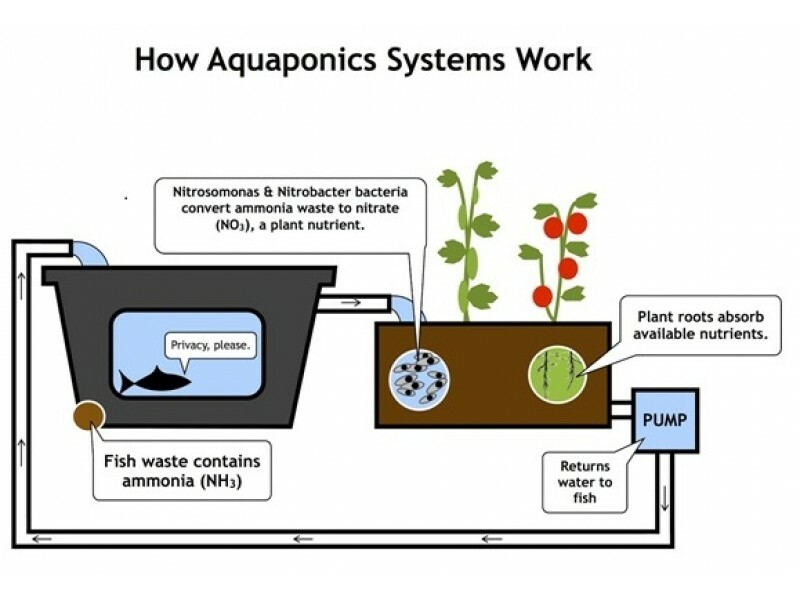 Q : What is Micro drip irrigation ? 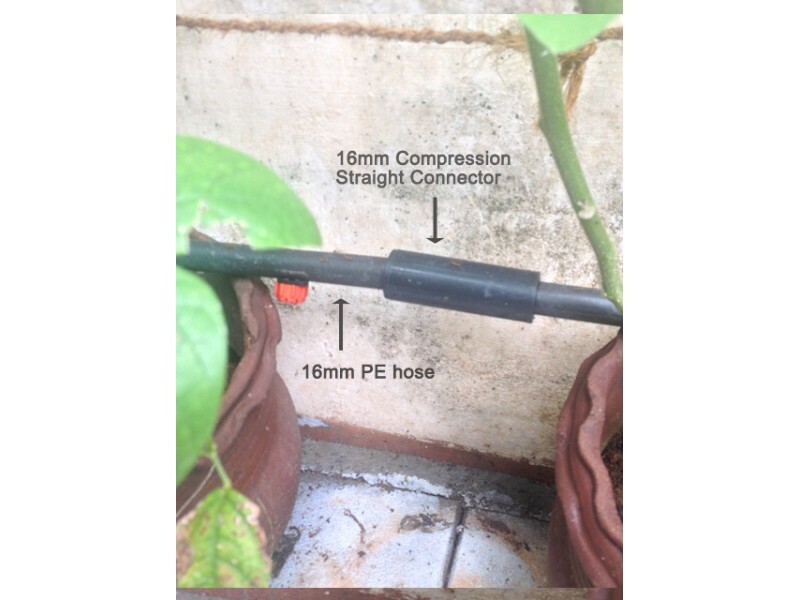 Q: Can I install GreenAge Micro Drip Irrigation all by myself ? Yes you can. All you need is some common sense and the willingness to work a little. 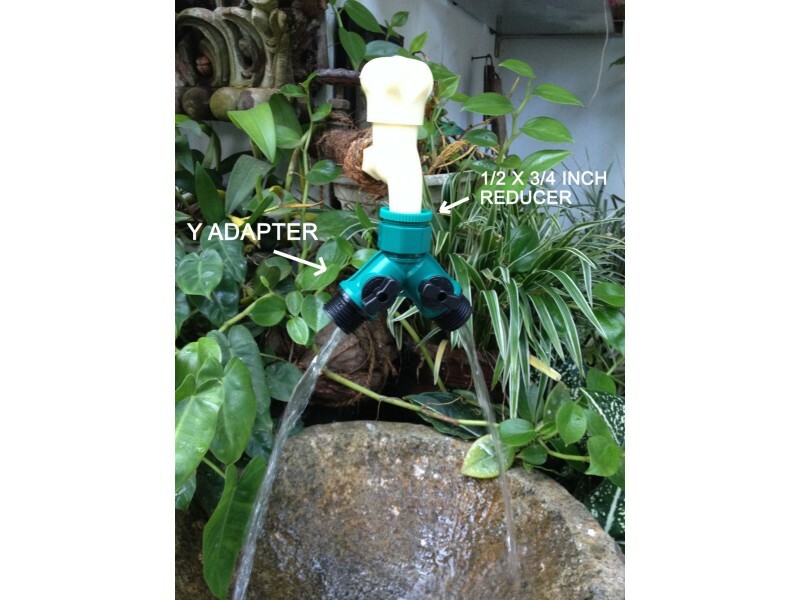 Your aesthetic and artistic sense determines the beauty of your Micro drip irrigation project. 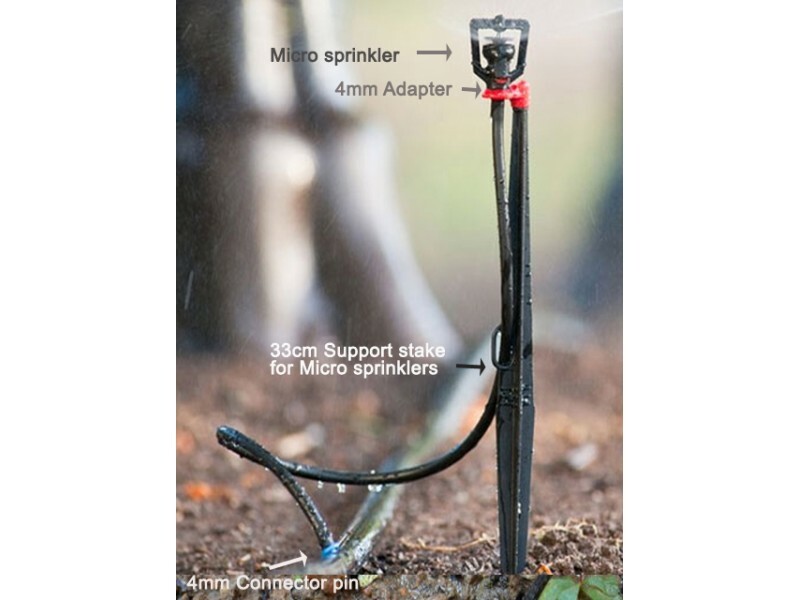 Q : How do I start a Micro drip irrigation project ? Q: If my over head water is situated at a height of 10 meters, what will be the approximate pressure of water ( PSI) that I can expect ? 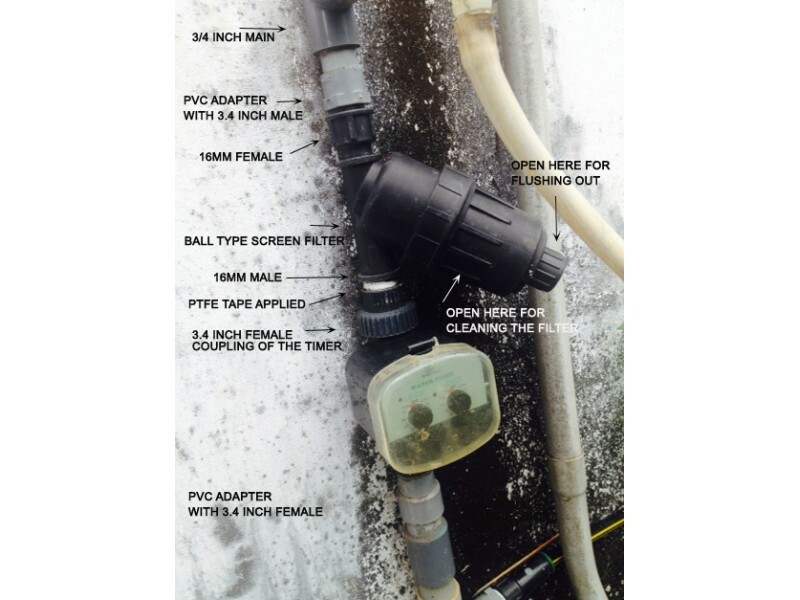 From a water tank situated at a height of 10 meters, you will be getting approximately 14.5 Psi water pressure. 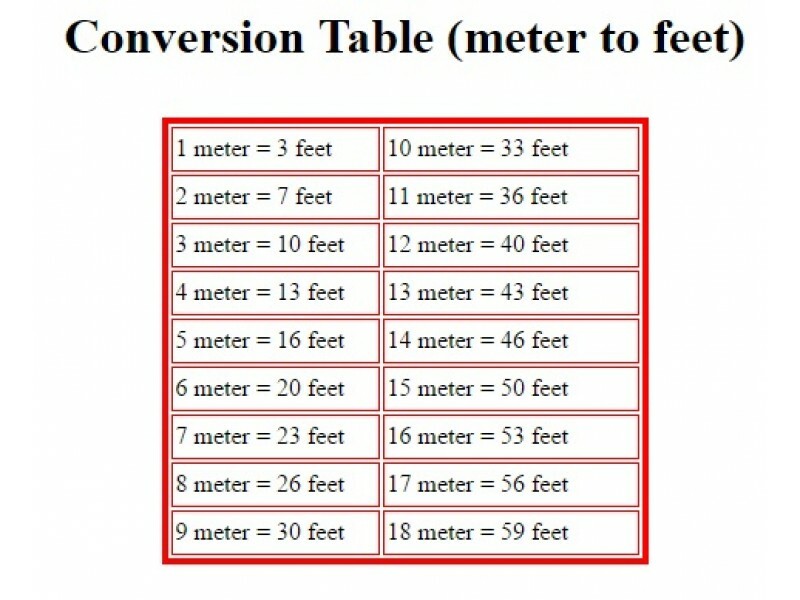 (Psi is the unit of pressure and the short form for one pound of water pressure per square inch) One Psi if calculated from the ground level will be approximately equal to 2.31 feet of water height ( column of water ) no matter what the size and shape of column is. And one foot of water height is approximately equal to 0.434 Psi. 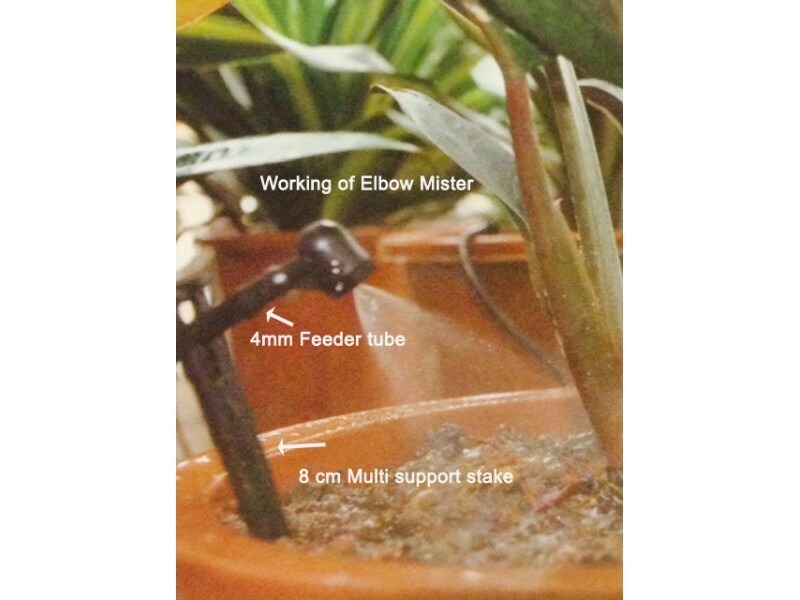 Psi is the measuring unit for the pressure of water per square inch. 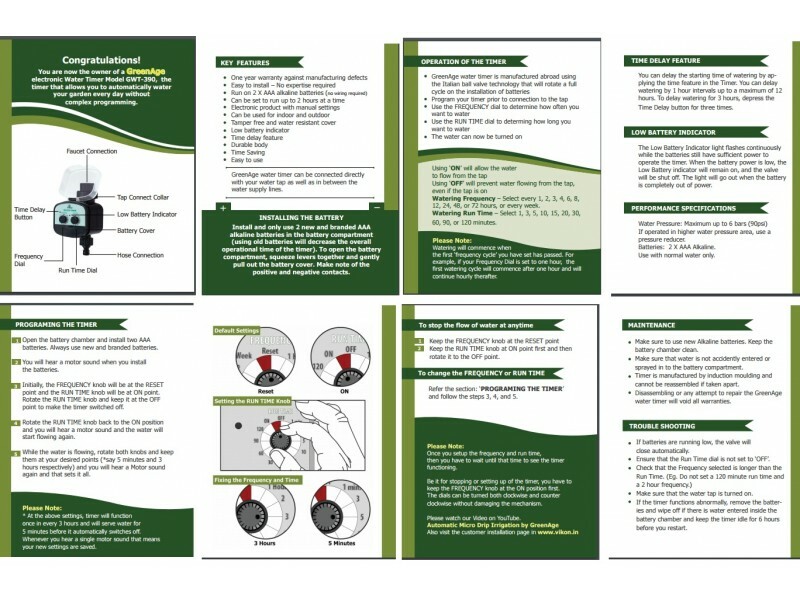 Normal drippers will work at below 14.5 Psi but water emitters such as Sprinklers, foggers and sprayers require more pressure to perform, say a uniform 28 to 32 Psi. 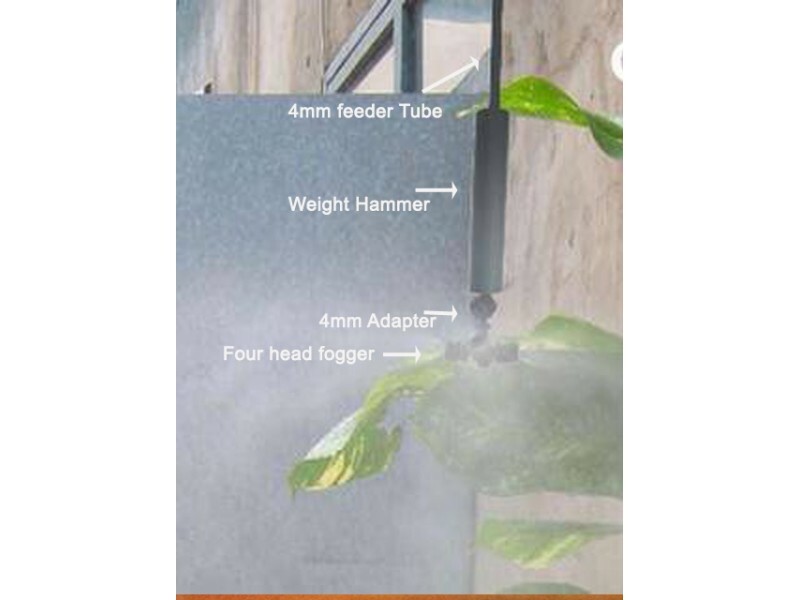 Q: What should be the minimum height of water tank? Q: What happens if the water pressure is too high? 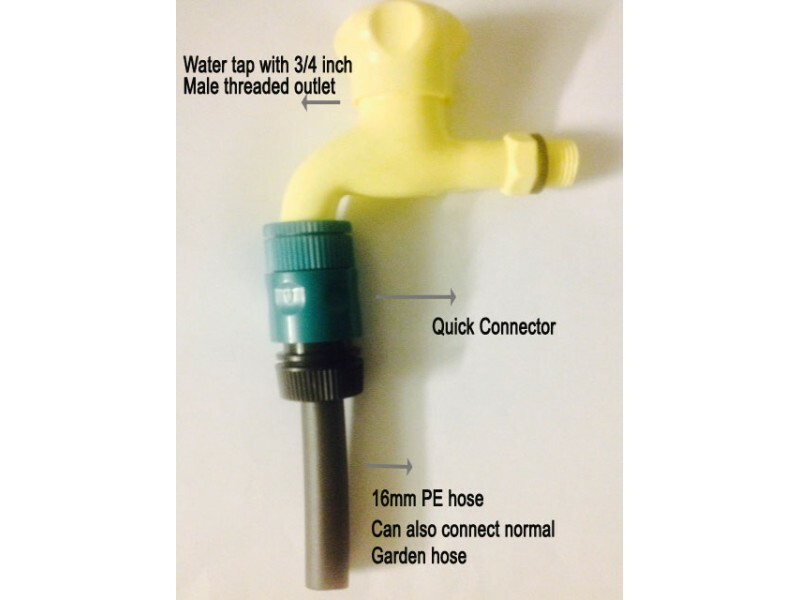 Some fittings or connectors cannot withstand if the water pressure is too high ( more than 40 Psi normally). 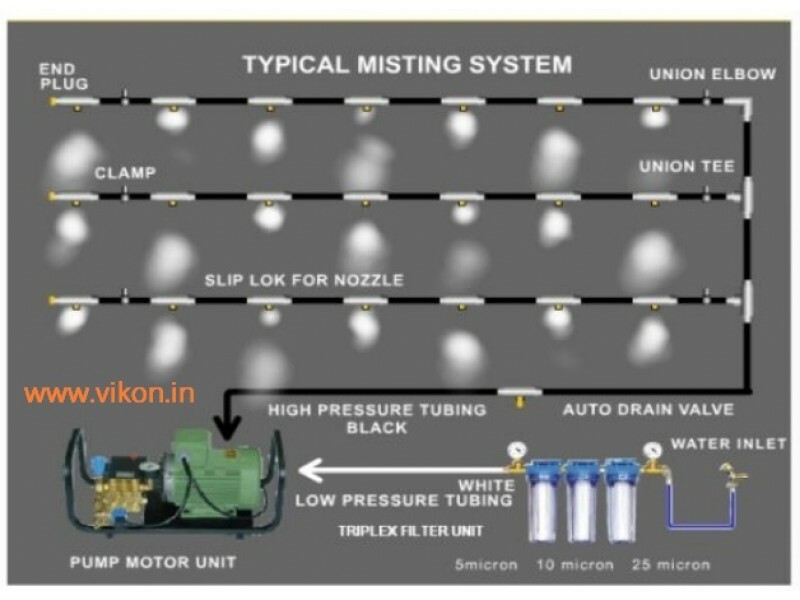 The micro fittings may burst out and the supply line may get disconnected resulting water leakage. 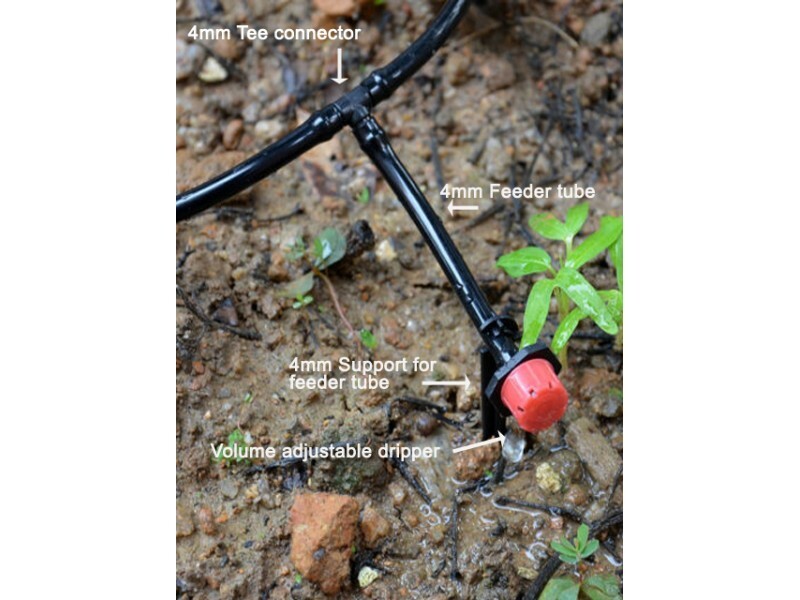 Q: What is the difference between high pressure and low pressure models of GreenAge micro drip irrigation kit ? 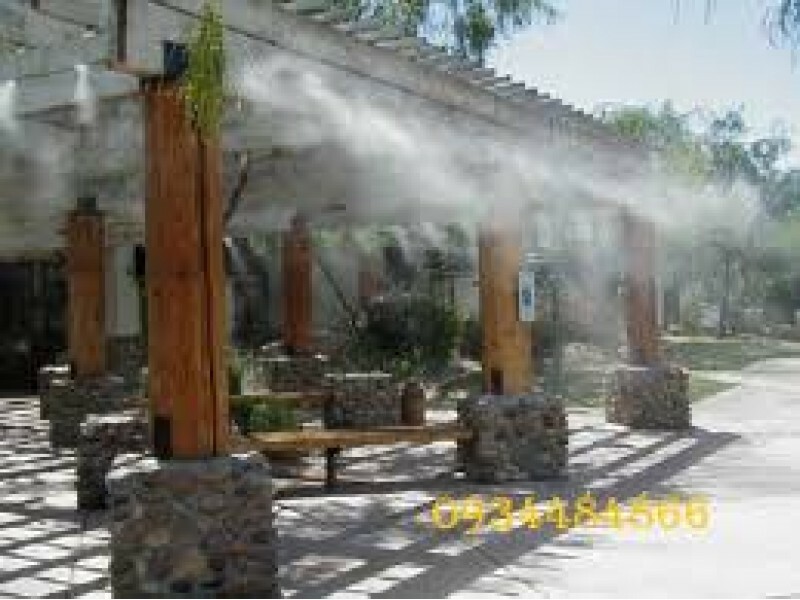 Certain water emitters that require a reasonably high pressure of water such as Sprinklers, Foggers, Mist sprayers and their fittings are not included in the low pressure model . Low pressure model will be suitable for those who don’t have a high water pressure available. Low pressure model can be converted into a high pressure one if the water pressure available is increased on a later stage. Q. What type of batteries are used in GreenAge water timer and what is the average life of batteries? Q. 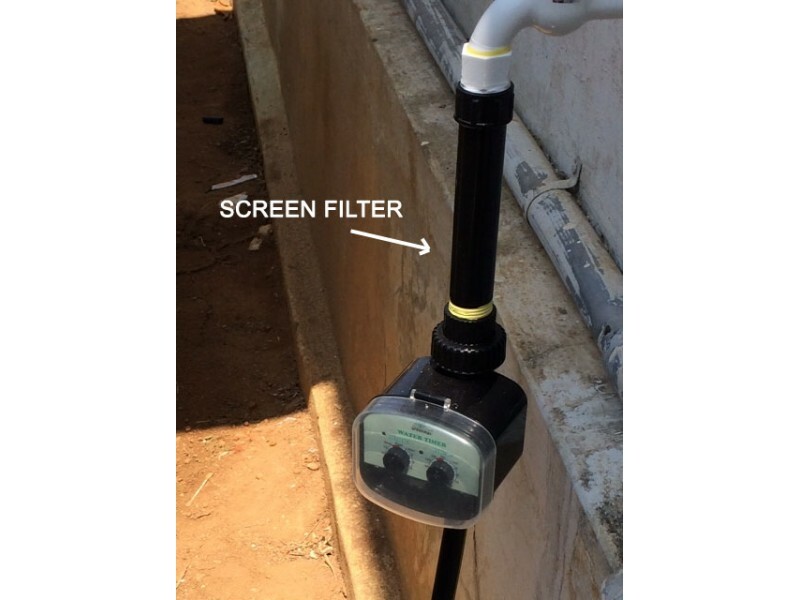 Why our water timer does not make any sound after installing the batteries? Q. 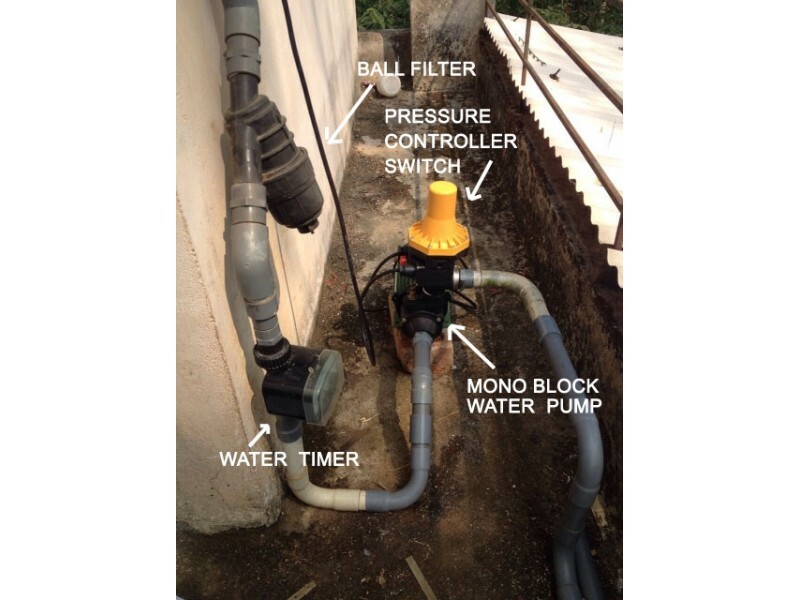 How do we make a list of items that is required for our Micro drip irrigation project? 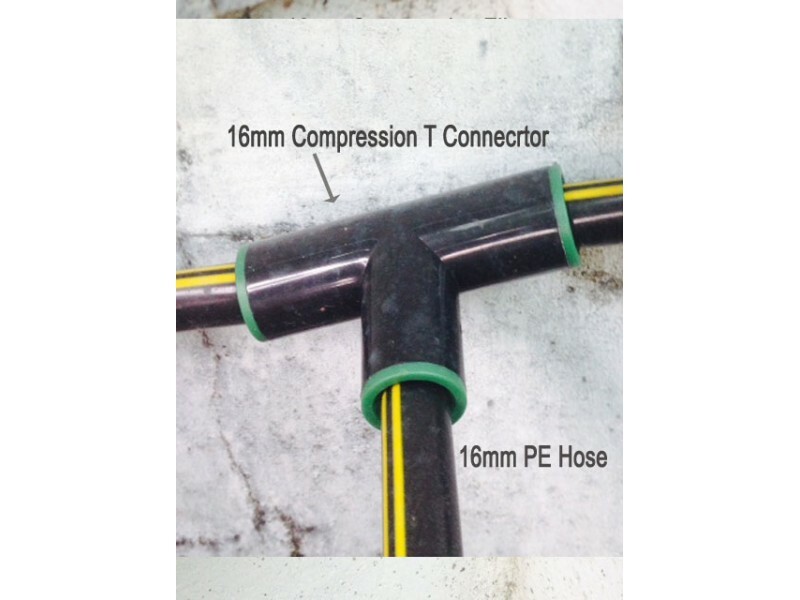 First of all, you have to make a drawing of your lay-out plan, measure the area and the length of 16mm PE hose required. Take a note of bends and diversions in the supply line, number of plant to be irrigated and spot them in your layout plan. Please also note down the spot where the water tap is located and finally refer our website to prepare your requirement list. We will soon upload the list of products in PDF format with the pictures of each product and its functionality in brief . Instead of searching for the whole website, you can download this list for easy selection of products that fulfills your requirement. Q. 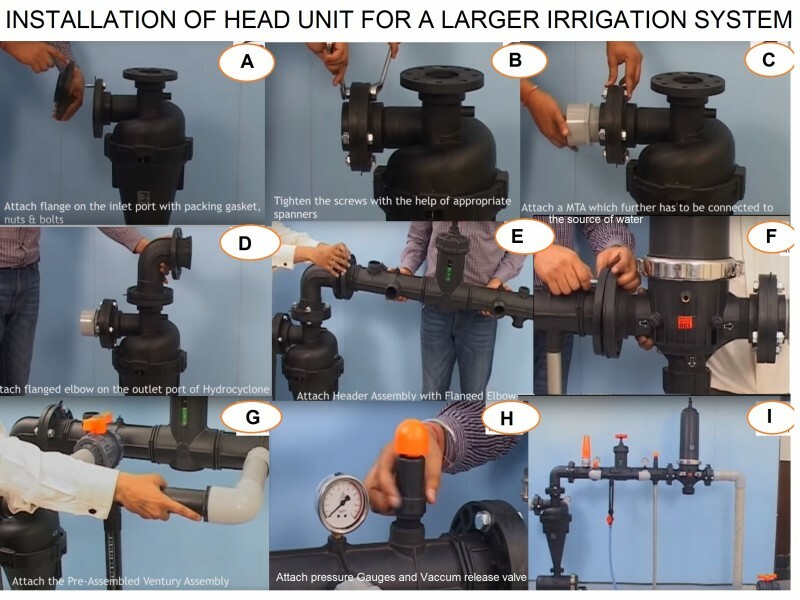 Which products make the head unit for automatic micro drip irrigation? 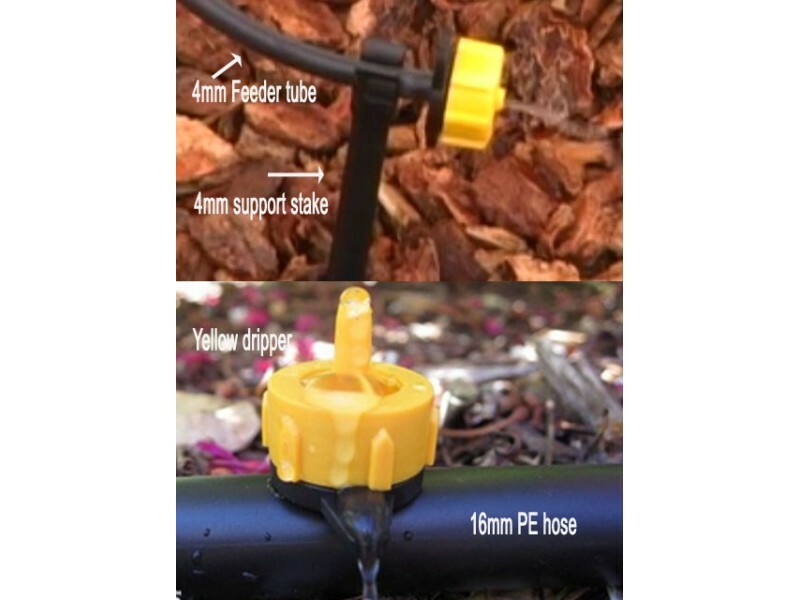 To make your micro drip irrigation project automatic, you may require a head unit consisting of the following items. Q : Besides head unit , what other products required to complete a basic project ? 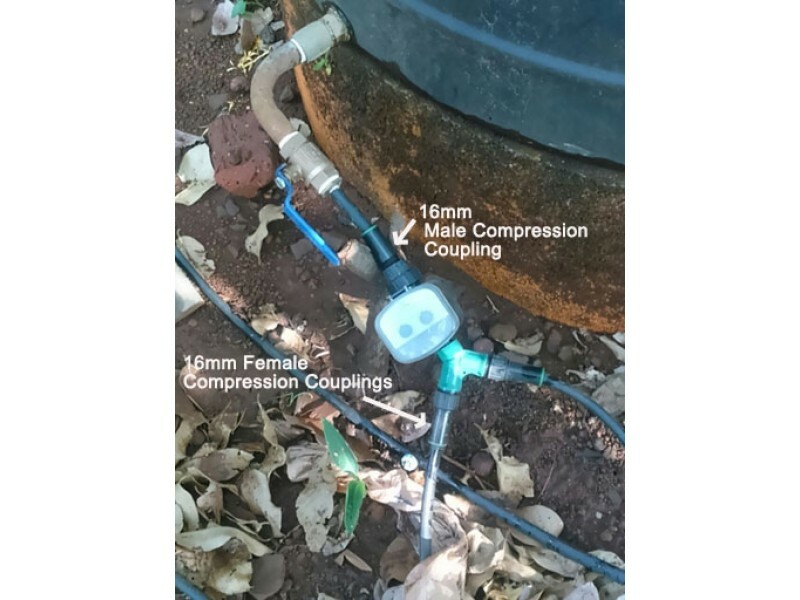 3) 4mm connector pins : According to the number of feeder tubes that you plan to attach with your 16mm polyethylene pipe . 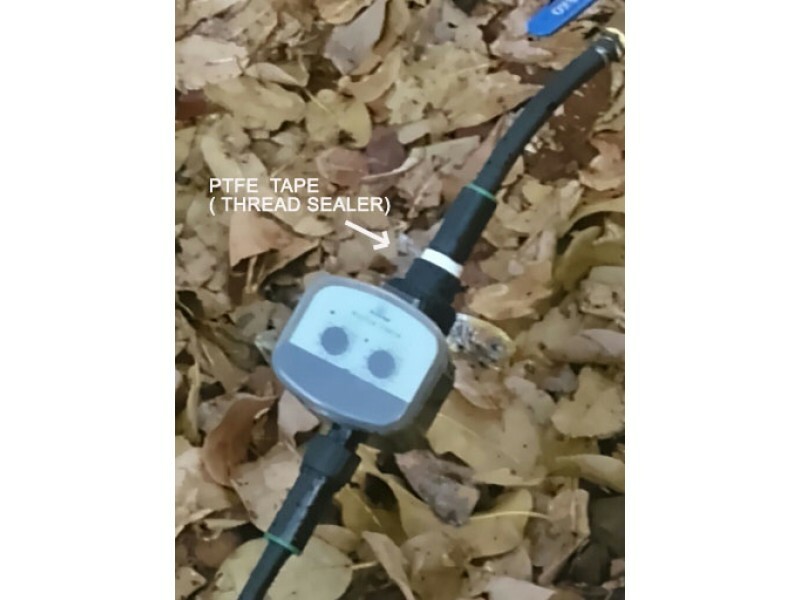 Each feeder tube connection require one 4mm pin. 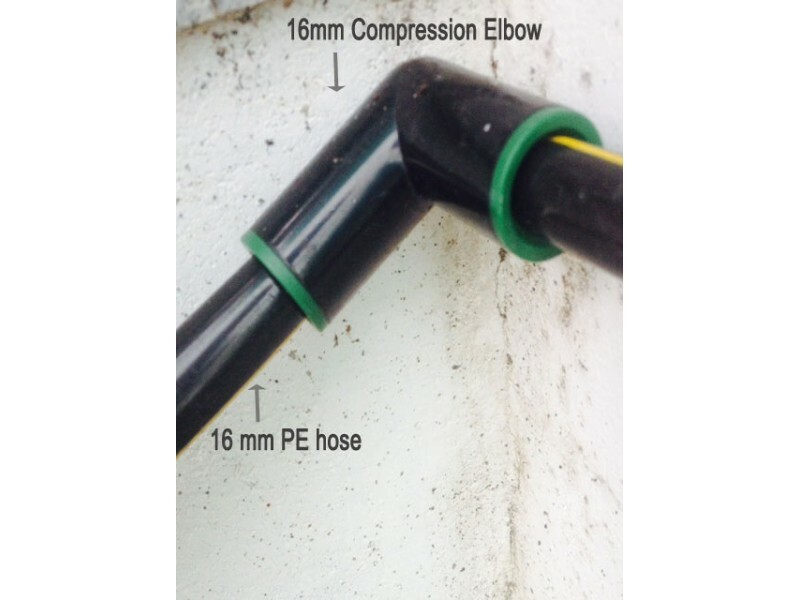 Remember to use Greenage PVC Rubberized and imported feeder tubes for a perfect fitting. 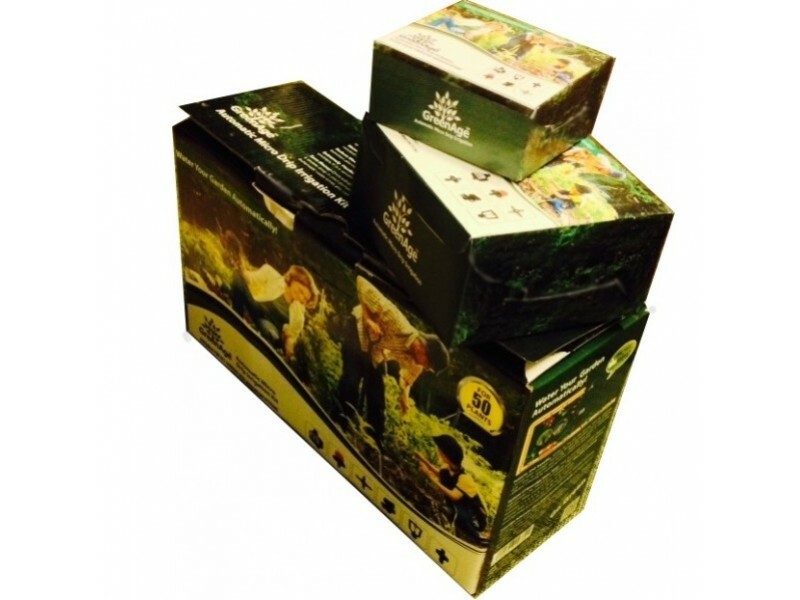 Q: What is the benefit if products are purchased directly from GreenAge ? This website is e commerce enabled with a 100% secure payment gateway. Our payment gateway accept almost all credit/ debit cards and Net banking . Also you can directly pay / deposit to our Bank account ( Our bank details are given at the final check out page ). 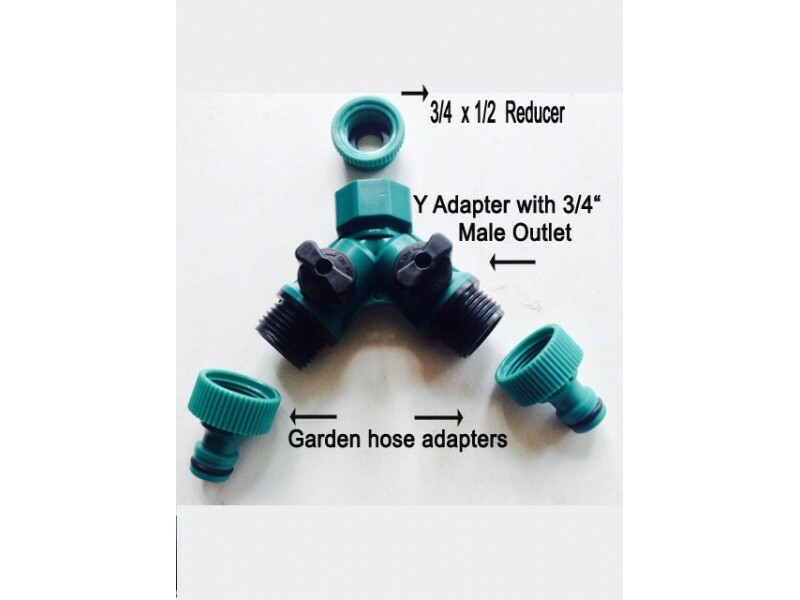 GreenAge Micro drip irrigation products are manufactured abroad after maintaining international international quality standards in production and performance. 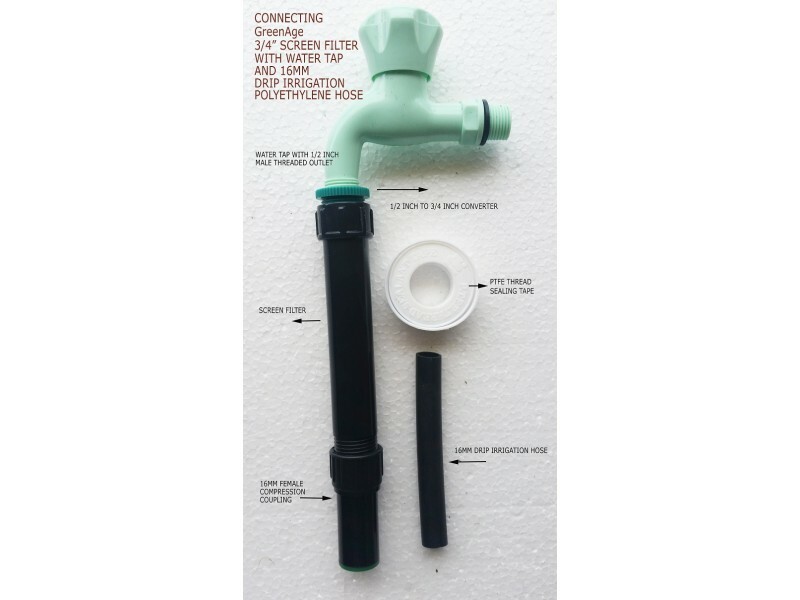 All GreenAge micro fittings, drippers and accessories are made of new polypropylene plastic by applying advanced thermo setting technology for its manufacture which offers more precision, greater performance and a life span three times higher than the products made from normal or recycled plastic. 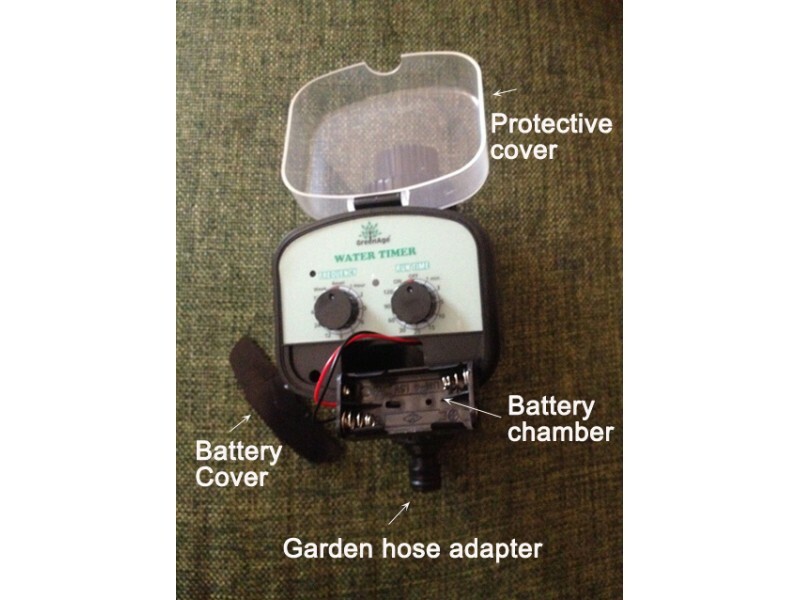 Q: What are the warranty /Guarantee conditions for GreenAge products? 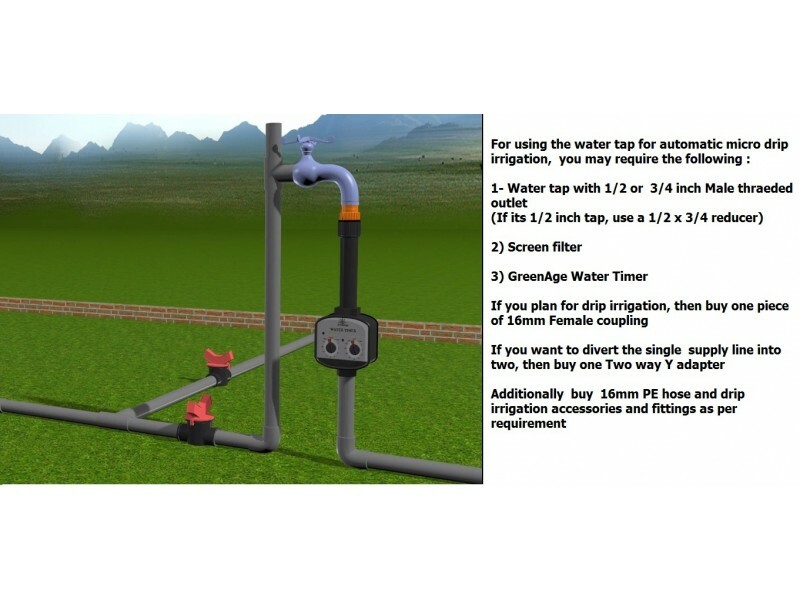 Q: What are the main caused for inferior performance of GreenAge water drippers /emitters? Q: How do I track my shipment ? Please Visit Our Online Stores !